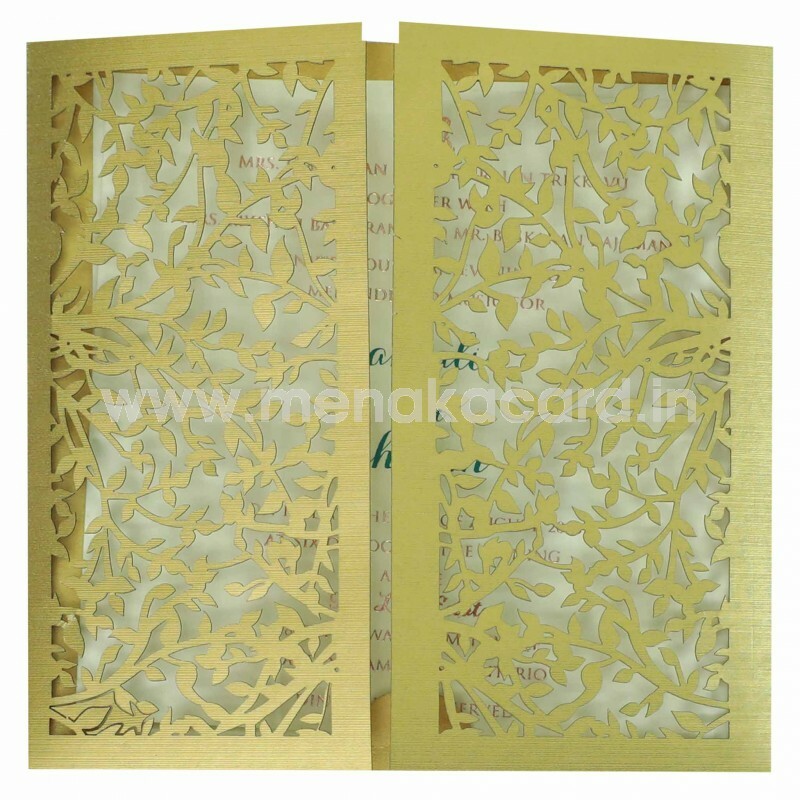 This exquisite gold laser-cut card is made from a beautiful gold metallic board with leafy floral laser cut patterns on the doors. 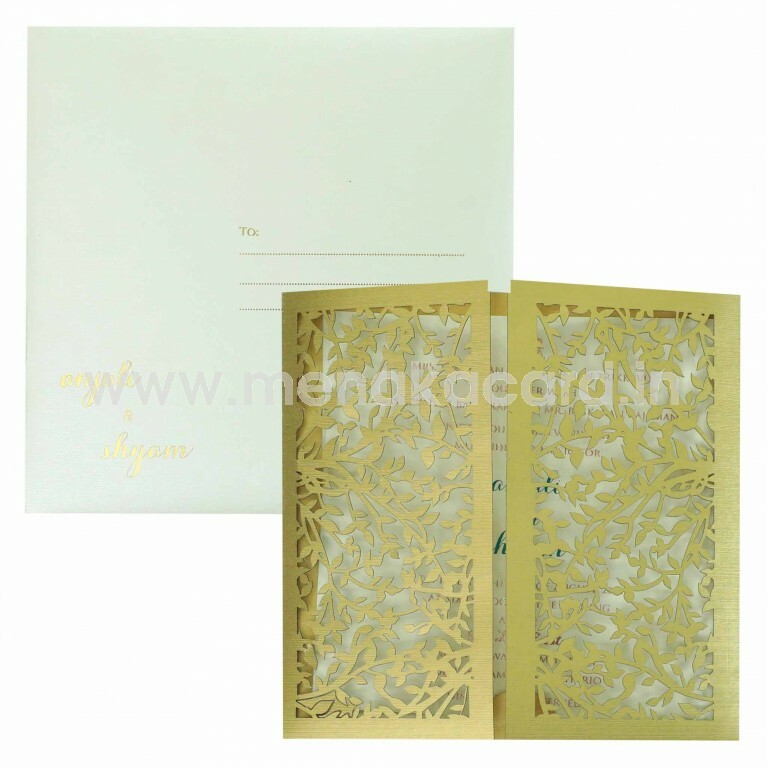 The doors open up to reveal two off-white inserts made from a shimmer board and having contrasting text seated in a solid gold material flap. 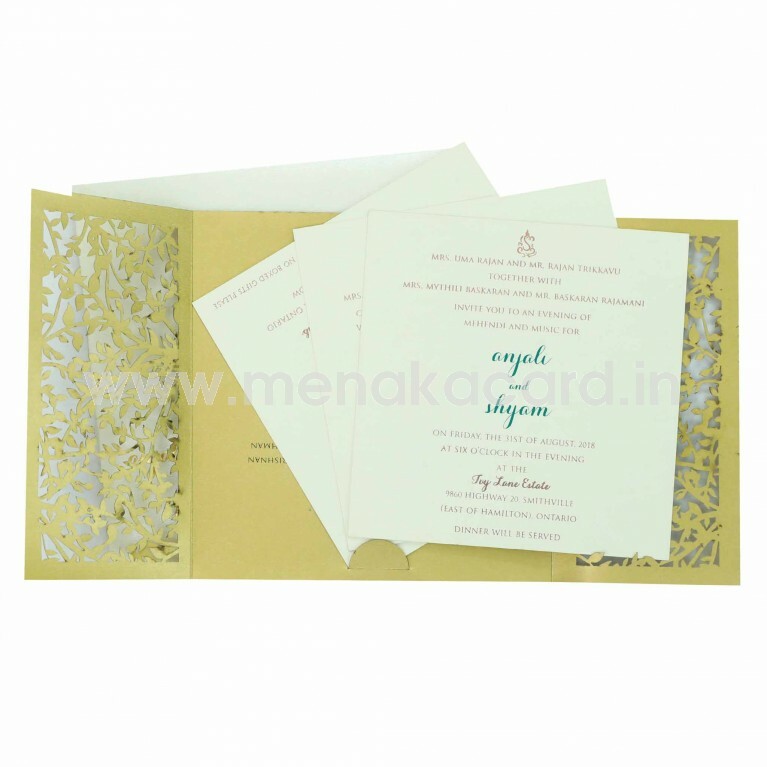 The envelope is a simple off-white cover with gold print. This can be used for Christian and Multi-faith weddings as well as Muslim and Hindu weddings that require a grand theme.